Adolescence | Dr. Christ studies the causes and consequences of adolescent’s exposure to maltreatment (abuse/neglect), and how work experiences during adolescence relate to health and well-being in adolescence and young adulthood. Her work in these areas has a strong methodological focus. 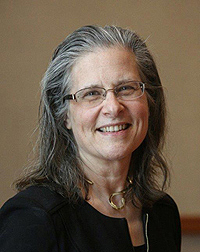 Adulthood and Aging | Dr. Christ studies the relationships between visual impairment, functioning, psychosocial health, and mortality during the aging process.She also studies how employment and work characteristics impact health and mortality among adults. Her work in these areas has a strong methodological focus. Health and Wellbeing | Dr. Christ studies 1) the relationships between work characteristics and health across the life course, 2) how adolescent’s exposure to maltreatment affects their social, emotional, and physical health, 3) and how visual impairment impacts health and mortality among aging adults. Her work in these areas has a strong methodological focus. Interpersonal Relations | Dr. Christ studies the relationships between parents and their adolescent children, particularly relationships resulting in maltreatment of adolescents. Her work in these areas has a strong methodological focus. 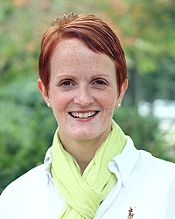 Adolescence | Dr. Dobbs-Oates conducts scholarship on teaching and learning in the higher education context. Thus, the learning of college students, who are often in late adolescence and emerging adulthood, is a particular interest. Early Childhood Education and Care | Dr. Dobbs-Oates has worked in the area of school readiness, particularly children’s learning (math and literacy) and behavior development in the context of child care settings. Children at risk due to poverty are a special interest. Infancy and Childhood | Dr. Dobbs-Oates’ work in the area of school readiness has focused primarily on children who are three to five years old. Early Childhood Education and Care | Dr. Duncan’s work focuses on the role of early childhood education and environments for promoting children’s cognitive, physical, and social-emotional skills. He is particularly interested in how early childhood policies and interventions promote successful development and whether/how they translate into long-run impacts. Infancy and Childhood | Dr. Duncan studies the ways that environments in infancy, early childhood, and middle childhood can affect children’s cognitive and social-emotional development. He is particularly interested in the impacts of early environments and skill development for later developmental outcomes. Adulthood and Aging | Dr. Elias' research focus centers on how physical health and wellbeing and patient activation impacts aging individuals, caregivers, and other subsystems within and outside of the family system. She is currently studying the impact of patient-physician behaviors in decision making and pain assessment on health outcomes. Health and Wellbeing | Dr. Elias' research focus centers on how physical health and wellbeing and patient activation impacts aging individuals, caregivers, and other subsystems within and outside of the family system. She is currently studying the impact of patient-physician behaviors in decision making and pain assessment on health outcomes. Infancy and Childhood | Dr. Elicker studies the social, emotional, and cognitive development of infants, toddlers, and young children in the context of early childhood programs. He is especially interested in the influence of quality of interactions and relationships among teachers, parents, non-parental caregivers and young children. Adulthood and Aging | Dr. Franks’ research is focused on social influences on health among midlife and older adults. 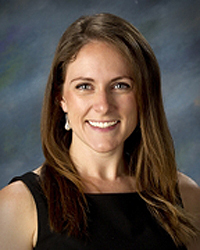 Her current work is focused on marital interactions that promote dietary adherence among patients with type 2 diabetes. Additionally, her collaborative work with Dr. Friedman addresses social ties and health outcomes among midlife and older adults managing multiple chronic conditions. Health and Wellbeing | Dr. Franks’ research is focused on social influences on physical health and psychological well-being in later life. Her current work addresses interpersonal interactions between married partners that promote one partner’s proper management of type 2 diabetes. 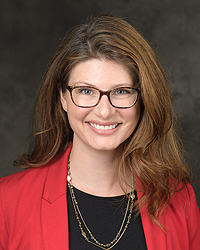 In her collaborative work with Dr. Friedman, she also explores linkages between social interactions and health outcomes among midlife and older adults managing multiple chronic conditions. Interpersonal Relations | Dr. Franks’ research focuses on the interpersonal interactions of married partners in the management of chronic illness. She explores spouses’ involvement in the management of a partners’ chronic illness, and the association of spouse involvement with the health and well-being of both partners. Additionally, she investigates correspondence in health-promoting behaviors of married partners such as diet and exercise, and the association of this correspondence with their individual health and well-being. Adolescence | Dr. French studies both children and adolescents. He is currently completing a study of social competence, peer relationships and bullying in fifth grade children in the U.S., China, and Indonesia. He is completing a longitudinal study of adolescents in China, and has conducted research on adolescents in Indonesia. 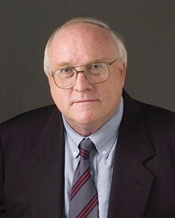 Culture and Diversity | Dr. French’s research on culture has been conducted in China, Indonesia, Turkey, and S. Korea. He has specifically studied culture and friendships, peer relationships, conflict, and social competence. He has studied Islam and social competence in both Indonesia and Turkey. 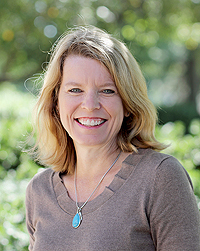 Interpersonal Relations | Dr. French’s research focuses on the peer relationships of children and adolescents both in the U.S. and in other countries (i.e., China, Indonesia, and S. Korea). Specific topics of study include friendships, conflict, and social competence. Adulthood and Aging | Dr. Friedman examines psychological and biological processes related to healthy aging. Culture and Diversity | In his research, Dr. Friedman seeks to understand how adult health and biological processes related to health are shaped by cultural and social factors. Health and Wellbeing | A centerpiece of Dr. Friedman's research is the role of positive psychological functioning in the maintenance of health and the biological mechanisms involved. Interpersonal Relations | Dr. Friedman examines the ways in which interpersonal relationships and aging interact to affect health and biological processes related to health. Adolescence | Dr. Knopik’s work examines early biological and environmental influences on behavioral development during adolescence. This includes a strong focus on externalizing behavior and associated neurocognitive deficits. Health and Wellbeing | A major component of Dr. Knopik’s work focuses on women who change substance use behavior during pregnancy, and the correlates that accompany this change in behavior. Other ongoing research efforts examine the effects of yoga and mindfulness practices on overall quality-of-life and wellbeing. Dr. Knopik examines mental health outcomes, academic outcomes, and in certain projects, pain outcomes. She is also a part of collaborations examining genetic, environmental, and physiological contributions to physical health outcomes, including sleep in college students. Infancy and Childhood | Dr. Knopik’s work incorporates prenatal substance exposures and the effects of exposures during the first 5 years of life on later behavioral and mental health outcomes. Dr. Knopik conducts research on genetic, epigenetic, and environmental influences in the prenatal period and childhood in order to understand later outcomes in late childhood and adolescence. Adolescence | Dr. Lougheed examines family dynamics in adolescence, with a focus on the parent-adolescent relationship. Adolescence is an important developmental age for emotional development, which occurs in part through interactions with close relationship partners such as parents. Interpersonal Relations | Dr. Lougheed examines interpersonal emotion processes in the parent-adolescent relationship, such as responses to expressed emotions, dyadic physiological dynamics, and differences between emotional contexts. Health and Wellbeing | Dr. Lougheed examines how emotion dynamics in the parent-adolescent relationship are associated with psychosocial adjustment difficulties such as depression and anxiety symptoms. 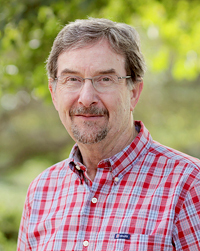 Adulthood and Aging | Dr. MacDermid Wadsworth’s research focuses on the experiences of early and middle adulthood, as workers navigate the challenges of fulfilling their responsibilities at work and at home. 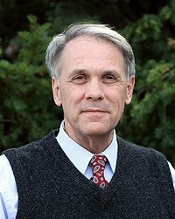 Military Families | Dr. MacDermid Wadsworth’s research focuses on military families as service members and family members encounter the seminal challenges of military life, including relocation, separation, and exposure to dangerous and difficult work. Adolescence | Dr. Marceau’s work examines early biological and environmental influences on behavioral and familial relationship development during adolescence. This includes a strong focus on pubertal development, and the role of hormones during the pubertal transition for adolescent relationships and behavior. Health and Wellbeing | A major component of Dr. Marceau’s work is on correlates and consequences of physiological and pubertal development. Dr. Marceau primarily examines mental health outcomes. She is also a part of collaborations examining genetic, environmental, and physiological contributions to physical health outcomes, including sleep and obesity. Infancy and Childhood | Dr. Marceau’s work incorporates prenatal exposures and experiences, as well as parenting during early childhood. Dr. Marceau conducts research on genetic and environmental influences in childhood in order to understand changes across childhood and adolescence. 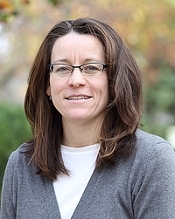 Interpersonal Relations | Dr. Marceau’s research focuses primarily on parent-child relationships across childhood and adolescence, although she also considers the role of sibling, peer, and marital relationships for neuroendocrine and behavioral development. Early Childhood Education & Care | Dr. McCormick is interested in understanding predictors and moderators of variation in developmental trajectories of children with Autism Spectrum Disorder and other neurodevelopmental disorders. This work has implications for understanding the mechanisms for why early intervention works for some children on the spectrum and conversely why it may be ineffective for other children. She is also working to develop objective outcome measures for intervention research. Health & Wellbeing | Dr. McCormick is interested in how physiological activity is related to processes like emotion regulation and social engagement and how these processes influence psychopathology. Infancy & Childhood | Dr. McCormick studies the early developmental trajectories of children with Autism Spectrum Disorder and other neurodevelopmental disorders. Her work has involved examining different dimensions of development from infancy through early childhood. Interpersonal Relations | Dr. McCormick focuses on the early development of children with Autism Spectrum Disorder within the family context. This includes research into how physiological responses influence interactions with caregivers. Early Childhood Education and Care | Dr. Nichols' research specifically examines the interface between cognitive development and environmental contexts including media, child care, and early elementary school settings with the goal of determining whether and how these settings can be joined with other developmental supports to create effective early learning interventions. She focuses almost exclusively on the educational and social needs of young children at-risk for later school failure and their families who are experiencing chronic poverty. Culture and Diversity | Dr. Nichols' research program has been enhanced by partnering with members of a variety of culturally and linguistically diverse communities including those self-identifying as African American, American Indian, or English Language Learning (Spanish speakers from Mexico and Central America, Mandarin and Cantonese speakers from China). These children live in large urban centers, rural locations in the Midwest, and on tribal reservations in both the south and the southwest. Adulthood and Aging | Dr. O’Haire studies the interrelationships between humans and animals (also known as the human-animal bond) and how these connections influence mental health across the lifespan. She works with individuals with physical disabilities, mental health conditions, and the general population more broadly. Health and Well-being | Dr. O’Haire examines the psychosocial effects of human-animal interaction. She studies how interacting with animals (e.g. companion animals, service animals, or therapy animals) may influence human health and well-being across a variety of populations and settings. Infancy and Childhood | Dr. O’Haire conducts research on interventions that incorporate animals (e.g. animal-assisted activities) and how these programs influence the social development, behavior, and physiology of neurotypical children as well as children with autism spectrum disorder (ASD) and attention-deficit hyperactivity disorder (ADHD). Military Families | One of Dr. O’Haire’s main ongoing research projects examines the effects of service dogs on military members and veterans with posttraumatic stress disorder (PTSD) as well as their spouses and children. Culture and Diversity | Dr. Posada's research on attachment relationships is conducted in diverse cultural and social contexts. His studies have included samples from 14 different countries, and samples from middle-class and low income sectors of the population. Infancy and Childhood | Dr. Posada investigates the development of child-parent attachment relationships during infancy and early childhood. He studies both child and parent behavior during interactions in naturalistic settings (e.g., homes and playgrounds). 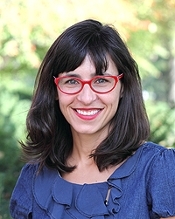 Interpersonal Relations | Dr. Posada studies child-parent attachment relationships in relation to family characteristics (e.g., marital conflict and support and child-rearing discipline practices) and their associations with children's socialization outcomes (e.g., interactions with peers). 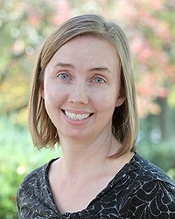 Early Childhood Education and Care | Dr. Powell is directing a translational research project designed to develop a research-based curriculum for the U.S. Department of Defense Child Development Program, which serves children from birth through age 5 years on military installations worldwide. The comprehensive program is focused on school readiness outcomes. 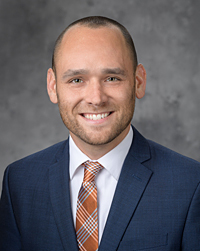 Another part of his research program is investigating effects of an intervention aimed at improving low-income children’s literacy and language skills via a coaching-based professional development with teachers. Infancy and Childhood | Current research projects focus on identifying promising practices in promoting young children’s school readiness in early childhood education programs and in family engagement interventions. Military Families | Strategies for promoting family engagement in young children’s learning and development are an integral element of the research-based curriculum for the U.S. Department of Defense Child Development Program being developed by Purdue University. Early Childhood Education and Care | Dr. Purcell's research and teaching are intertwined and drive her preparation of providers who will serve young children with and without disabilities and their families. Through best practice and the implementation of the DEC Recommended Practices, we see an increase in positive outcomes for children and families. 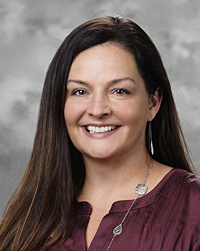 Her ultimate goal is to work with and prepare current and future early childhood educators and early interventionists to provide highly effective, inclusive services for ALL children to achieve the best possible outcomes. Early Childhood Education and Care | In Dr. Purpura's research, he focuses on understanding how young children learn math. He studies how math skills develop, how early literacy and cognitive skills affect math development, and how to identify early those children likely to struggle later on in math. Infancy and Childhood | Dr. Purpura's research is focused on academic development during the preschool and primary school years in the contexts of school and family. Although early math is his main area of research, his work extends to literacy and cognitive skills as well. Culture and Diversity | Dr. Schmitt’s research investigates cross-cultural variation in important school readiness skills, particularly among American and Chinese children. In addition, she studies disparities in school readiness among children experiencing socio-demographic risk. Early Childhood Education and Care | Dr. Schmitt is interested in the effects of early care and education experiences on children’s school readiness and the extent to which high quality early care and education buffers the impact of poverty and other risk factors. Infancy and Childhood | Dr. Schmitt’s research program is broadly focused on examining contextual factors that contribute to multiple aspects of school readiness (e.g., self-regulation, executive function, social-emotional adjustment, pre-academic skills, physical health) during early childhood. Health and Wellbeing | Early childhood sleep trajectories are a key area of Dr. Schwichtenberg’s research. From infancy to school entry, Dr. Schwichtenberg assesses the role(s) of sleep development in at-risk populations (e.g., infants born preterm, siblings of children with an autism spectrum disorder). Infancy and Childhood | Early childhood developmental trajectories are Dr. Schwichtenberg’s passion. 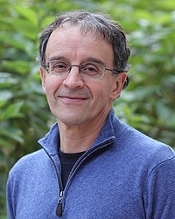 Using longitudinal designs, Dr. Schwichtenberg’s research assesses the dynamic associations between physiological (e.g., sleep) and social development. Her previous studies have followed infants from birth to 6 years of age. Interpersonal Relations | Dr. Schwichtenberg’s research focuses on families raising children who are at risk for social difficulties (e.g., infants born preterm, siblings of children with an autism spectrum disorder). Using prospective longitudinal designs Dr. Schwichtenberg examines parent-child dyadic interaction trajectories. Adolescence | Dr. Shields collaborates with colleagues at Purdue and at IU to examine how adolescents talk to their physicians or other health providers about health and sexuality. Adulthood and Aging | Dr. Shields’ research examines how older patients interact with physicians and nurse practitioners to obtain the medical care they need. Health and Wellbeing | Dr. Shields’ research examines how older patients interact with physicians and nurse practitioners to obtain the medical care they need. 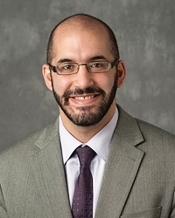 He also collaborates with colleagues at Purdue and at IU to examine how adolescents talk to their physicians or other health providers about health and sexuality. Adolescence | Dr. Taylor’s research examines psychological, environmental, and biological processes that contribute to social and emotional development during the transition from middle childhood into early adolescence. In particular, she focuses on positive dispositional characteristics, as well as parenting behaviors, that are linked to positive development and competence in youth. Culture and Diversity | Dr. Taylor’s research examines family functioning and children’s social-emotional development in underrepresented populations such as Hispanic families and single-parent families. In particular, she examines factors that help buffer parents and their children from environmental adversity (e.g. economic hardship), and that are associated with positive family processes and competence. Health and Wellbeing | Dr. Taylor is interested in individual differences in physiological reactivity and regulation in response to stress, and their relations to processes of risk and resilience. She is particularly interested in exploring how stress physiology is associated with psychological health and how it contributes to other markers of adjustment such as emotion regulation. Interpersonal Relations | Dr. Taylor examines how family relationships (e.g. quality of parent-child relations, marital relationships) relate to social and emotional competence in children and adolescents. Adolescence | Dr. Watkins' research focuses on the developmental period of adolescence, with an emphasis on positive youth development and the transition from adolescence to adulthood. 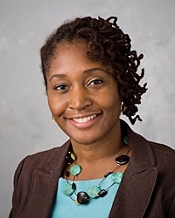 Culture and Diversity | Dr. Watkins' research is focused on understanding and improving the capacity of community-based youth programs to support the positive development of ethnic minority youth. She is specifically interested in how community-based youth programs may promote youth’s civic development and multicultural competence.